Dr. Abernathie received his bachelor of arts degree in biology with honors from the University of Missouri – Columbia. He was awarded his medical degree from the University of Missouri – Columbia School of Medicine and then completed his plastic surgery residency at the University of Medicine and Dentistry New Jersey. Most recently, Dr. Abernathie received his certificate of additional qualification in hand surgery. He completed his hand surgery fellowship at New York University in 2014. 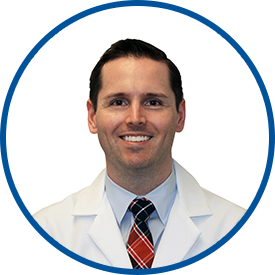 While practicing the breadth of aesthetic and reconstructive plastic surgery, he maintains specific interests in post-bariatric body contouring, breast reconstruction and treatment of upper extremity compression neuropathy and arthritis. Dr. Abernathie is a member of the Alpha Omega Alpha Honor Medical Society. This was the first time I saw this doctor. I thought he was knowledgeable, personable, and skillful. Most importantly, he quickly diagnosed my problem, took the time to explain it simply and effectively, and treated it in a way that appears to be solving the problem. Have given praises on my experiences and give the contact information out. I have previous experience with Dr Abernathie. He is an excellent, kind, talented physician.